"We are very proud to Welcome Al to the New Fed management team"
Al Petrilli MLO # 36732 joins NewFed Mortgage as Producing Branch Manager with the addition of the new upcoming state of the art office in Winthrop, MA. 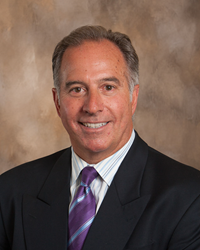 For the past 17 years, Al Petrilli has used his mortgage experience and expertise to offer his customers personal and professional service. He does this by strategizing and structuring the perfect loan programs specific to their needs. Every loan scenario is different, therefore, he works to ensure his borrowers are comfortable and knowledgeable about the loan process and in the end he knows he has done his job to their satisfaction. Al was raised in Revere and has lived in Winthrop for 29 years where he has been an active community member and philanthropist, raising funds for organizations in and around Winthrop and the Boston area. Al, a Boston University graduate worked for 20 years in sales and marketing within the footwear industry, such as Reebok and Stride-Rite. Al continues and enjoys being successful when facing the challenge of “making a dream come true” for his borrowers. He is a dedicated father of two children Albert and Marielle. Al is currently president and co-founder of the Marie C. Petrilli Cancer Research & Treatment Memorial Fund. This fund honors Al’s wife Marie who passed away 18 years ago from Non-Hodgkins Lymphoma. This fund provides money & scholarships to improve care for cancer patients and their families. In his leadership of the fund, Al has distributed over $150,000.00 to oncology nurses and to the funding of capital improvements that benefit the cancer patients and their families at Massachusetts General Hospital in Marie’s honor. Al’s dedication to his family and his pride in the community inspired him to become involved as one of the original founders, board member, and former Chairman of the Viking Pride Foundation, a Winthrop based non-profit organization who provides funds to Winthrop Public Schools in order to reduce the cost of fees to students and families for Athletic and other co-curricular activities. Viking Pride has contributed over $500,000.00 to Winthrop Public Schools over the past 13 years. Al is also an avid sports enthusiast and continues his community involvement and enjoys spending time with his family, golfing, walking and relaxing on a beach. NewFed Mortgage, locally based in Massachusetts has specialized in residential mortgage lending since 2001. Licensed in seven states, NewFed offers a multitude of mortgage programs, including Conventional, FHA, VA, USDA, Mass Housing along with access to a wide array of specialty portfolio programs.